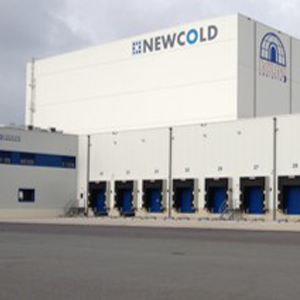 The site includes a fully automated 37 meter high cold store with a footprint of 129 x 66 meters and a capacity of 68,000 euro pallets and 3 more conventional cold stores with a total capacity of 20,000 euro pallets. 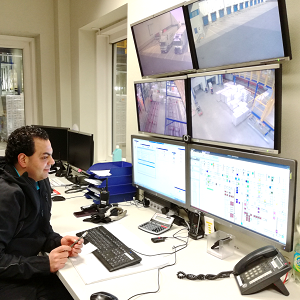 Handling based on FEFO/FIFO/batches with a capacity of 7,500 to 8,000 pallets of frozen goods and 400 pallets of chilled products per day. 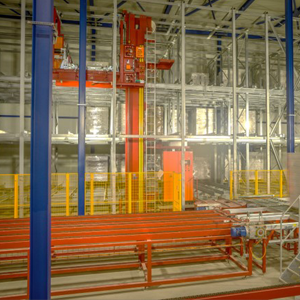 700 pallet locations for shipment buffer zone so minimal waiting time for trucks before loading.